The Parade of Champions is starting now. In the last round, the Breuer brothers finished the tournament in 6th place. The Dahling brothers finished their year in 5th place. These four are our first place winners at the 2013 Section 1A Tourney. Congratulations on a great season guys! 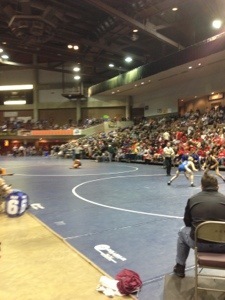 Well we have come to the final rounds of Section 1 Individual Wrestling. 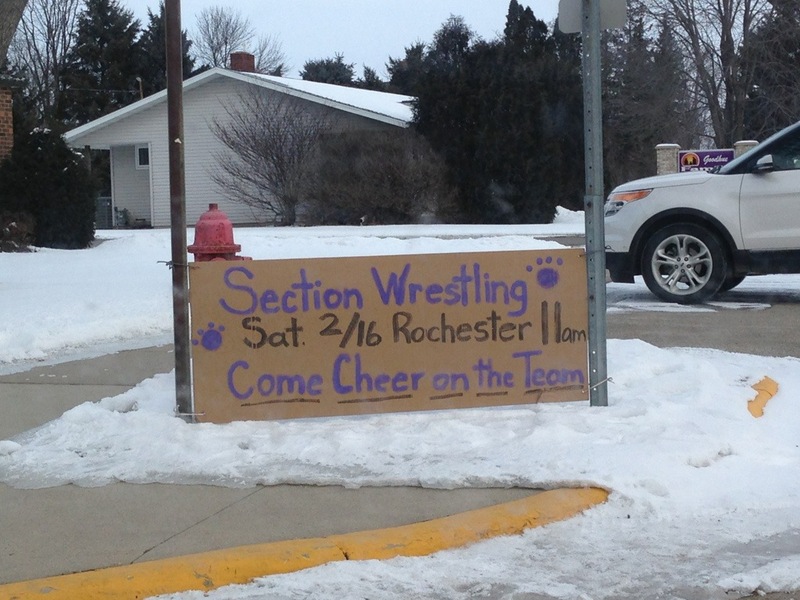 We brought 13 Goodhue wrestlers down for this great event. 10 survived a brutal first couple of rounds. 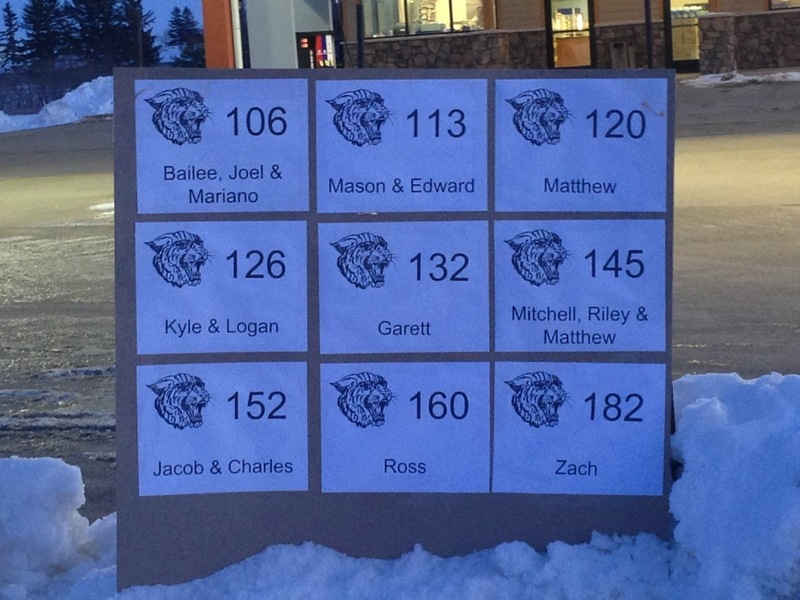 Riley, Zach and Garett gave great efforts but fell just short of getting to day two-the medal rounds. All are underclass men and will be back next year. 8 entered the semifinals this morning. 4 survived this blood round. Finalists are Joel Gadient at 113, who upset the tree and two seed both by pin to get there. Kyle Drehmel got revenge on two season losses to AJ Riley, getting the takedown in OT. 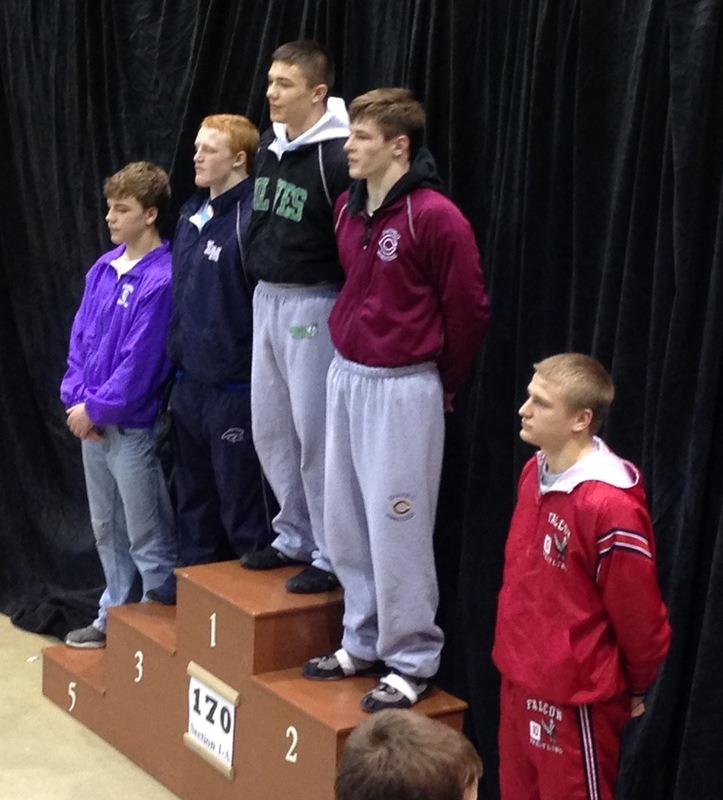 Jacob Blattner at 160 also overcame a regular season loss to win at the last second in dramatic fashion. And finally, Ryan Tipcke got the second period pin in his semi to punch his ticket to the finals. 5th place matches will start shortly. The Breuer and Dahling brothers will all try to finish a great season with 5th place honors. 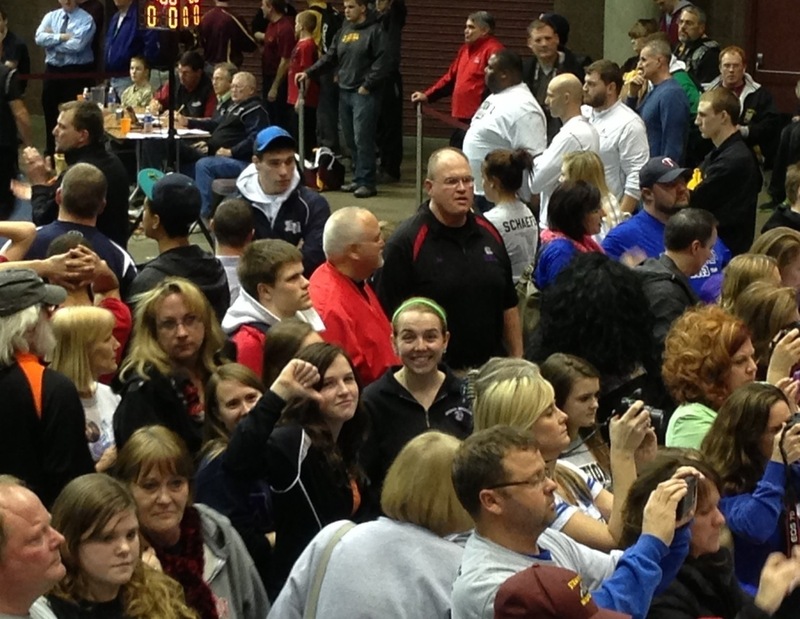 After the 4:45 Parade of Champions, Bailee will go for 3rd at 106, along with Matthew Lexvold at 120. Some of our stats girls are here pouring over the brackets this morning. Now you can too. 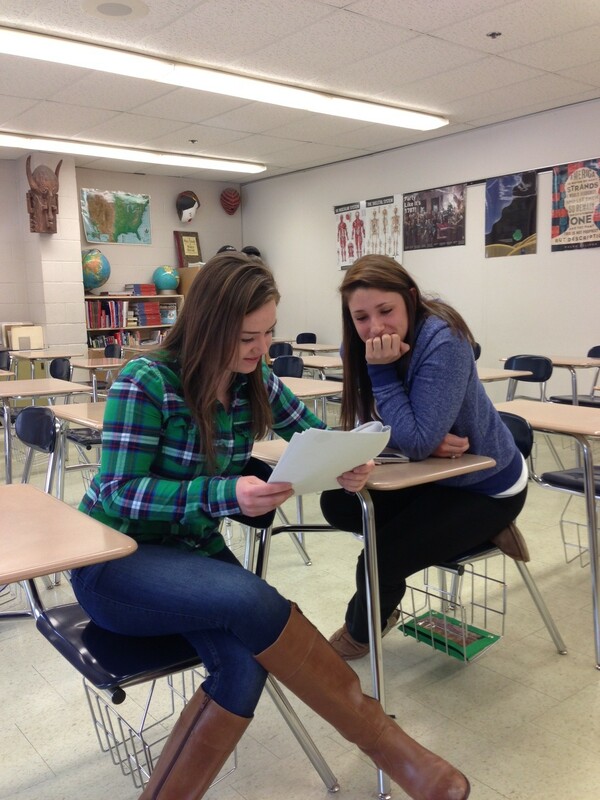 Libby and Christyn take a peek at the Section 1A Individual Brackets. Here is some information for the upcoming Section 1 Individual Tournament in Rochester this Friday and Saturday, February 22 and 23. On Friday, the doors open at 11:30. On Saturday, the doors open at 9:00 a.m. 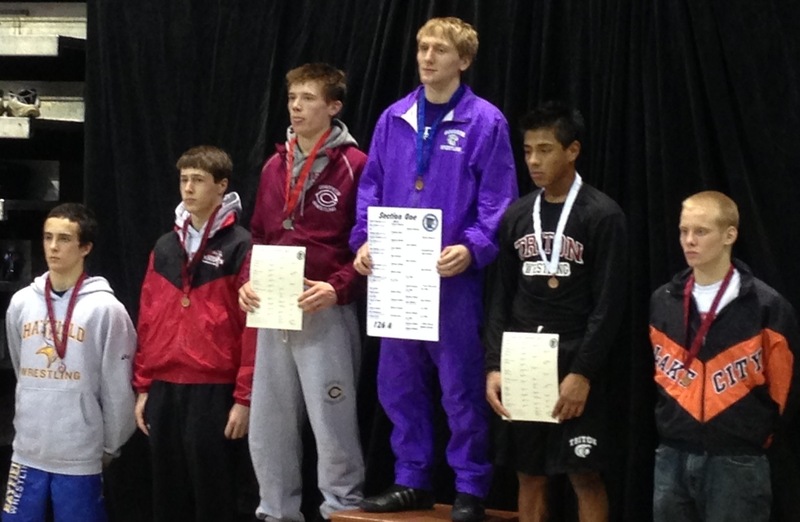 The top two finishers in each weight bracket will advance to the MN State Tournament held the following week. 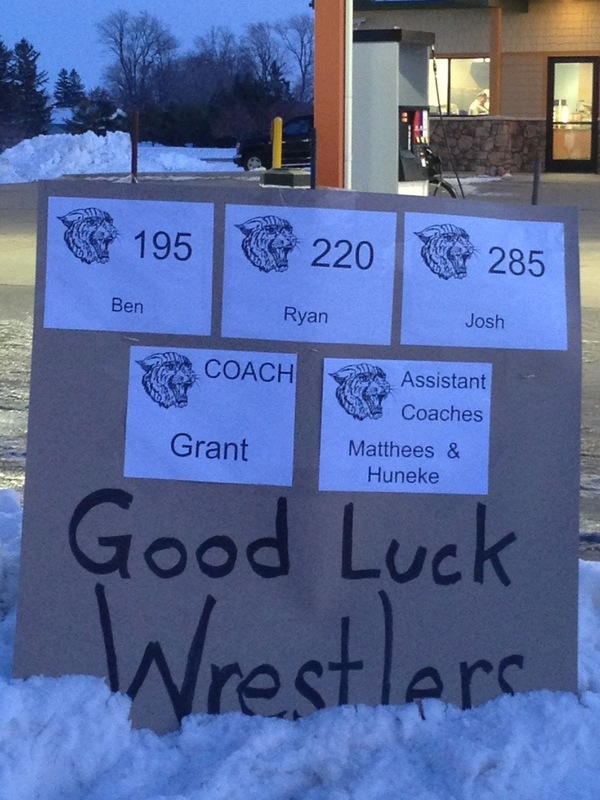 The team is on its way to the Mayo Civic Center this morning to get weighed in for their semi-final dual with Chatfield at 11:00. And we got signage wishing the team well on the way out! With Goodhue’s exciting win over #5 seed Lake City, the team has made it to the final four of the Section 1A Team Finals. 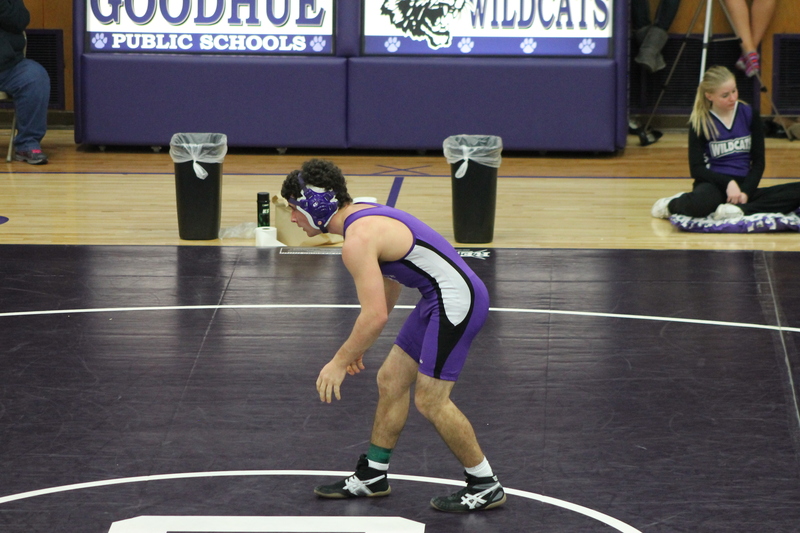 Goodhue, the #4 seed, will advance to wrestle the #1 seed (and #7 state-ranked) Chatfield in the semi-finals at the Mayo Civic Center tomorrow morning. 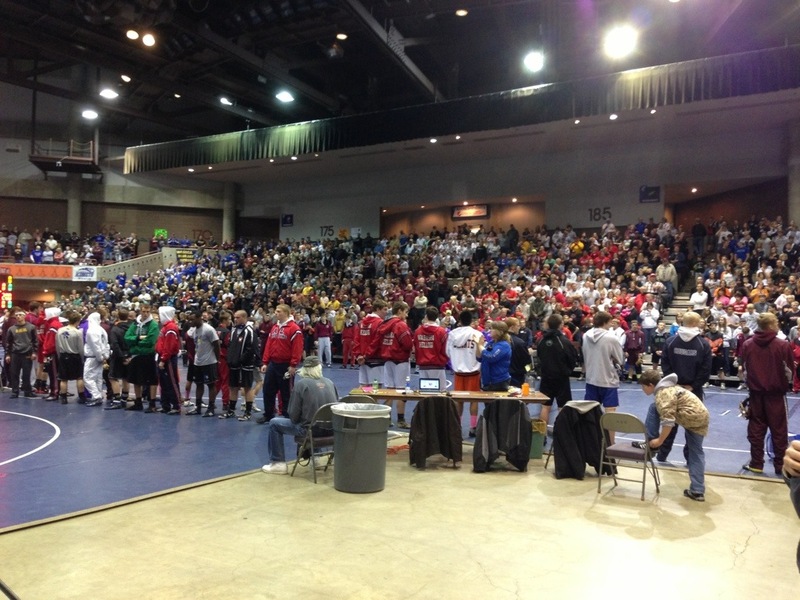 We will be wrestling on Mat #1. Come on out and support this fine group of young men. The Mayo Civic Center hasn’t seen Goodhue wrestle as a team in the Section semi-finals since 2005. 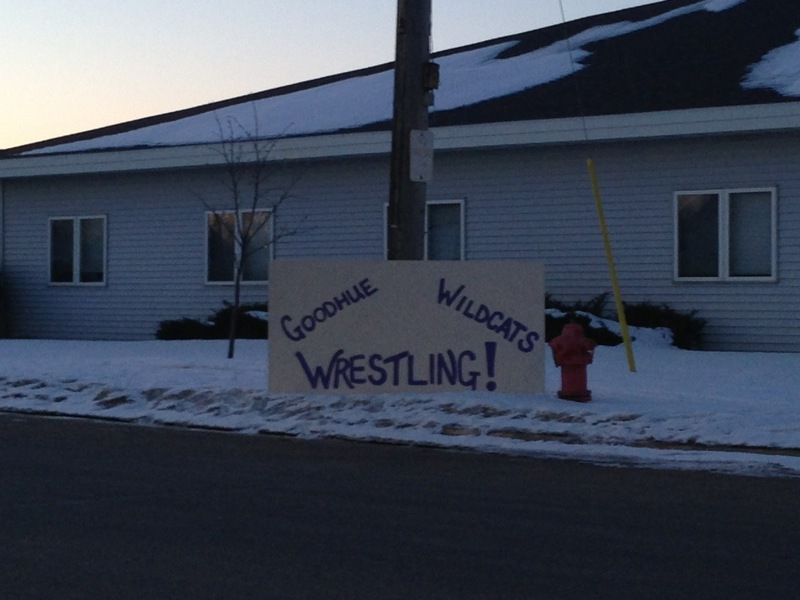 Welcome back Goodhue!